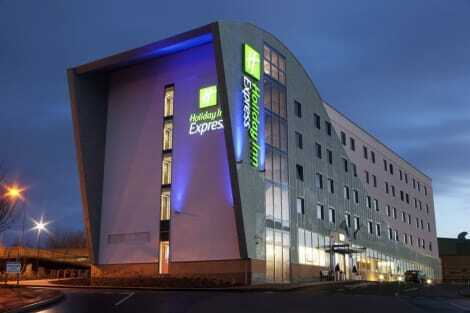 A relaxed Tamworth hotel with a bar and dining, plus WiFi, parking and breakfast includedThe lakeside Holiday Inn Express® Tamworth hotel is a 10-minute drive from Drayton Manor Theme Park.The M42 motorway can be reached in just a few minutes, with Birmingham city centre, Birmingham Airport (BHX) and the NEC all accessible by car in around half an hour. Direct trains run to Birmingham New Street and London Euston from Tamworth station, within walking distance of the hotel. Ventura Retail Park is around a 10-minute walk away, as is 11th-century Tamworth Castle in the historic town centre. You can ski, skate or swim at Tamworth SnowDome, next to the hotel. Business guests are within easy reach of Drayton Manor and Calico business parks. The hotel's 4 conference rooms have space for up to 60 guests, and you can request printing services at reception.At this hotel you can enjoy:- Free WiFi and parking- Rooms with sofa beds for families- Inclusive Express Start™ BreakfastWake up to a tempting buffet with English breakfast items like scrambled eggs, sausages and baked beans, plus continental choices. The hotel's Great Room serves hearty lunch and dinner options, and you can watch football on TV with a pint in the bar. Streamlined rooms welcome you with pillow menus and blackout curtains. Wrap up your day with a drink at the bar/lounge. English breakfasts are available daily for a fee. Featured amenities include a business center, express check-in, and complimentary newspapers in the lobby. Planning an event in Swadlincote? This hotel has facilities measuring 1468 square feet (136.36 square meters), including conference space. Free self parking is available onsite. Take in the views from a terrace and a garden and make use of amenities such as complimentary wireless Internet access. Additional features at this hotel include concierge services, an arcade/game room, and wedding services. At Plough & Harrow, enjoy a satisfying meal at the restaurant. Relax with a refreshing drink at one of the 2 bars/lounges. English breakfasts are available daily for a fee. A beautiful historic town in leafy Staffordshire, Tamworth is a perfect spot for a relaxing break with must-see sights on the doorstep, lively eateries and pubs, and picturesque countryside all within easy reach. As well as this, the town offers unforgetSEOSITE_LEVEL_DESCRIPTION views due to its waterside setting along the River Tame. The town also has a buzzing music scene, so it's well worth checking out what's on during your stay. Or, you can always make the short trip to Birmingham to see some of the city sights. One place you must visit during your trip is Tamworth Castle. Built in the 11th century, this stunning building really is worth exploring. Close by, you'll also find the Moat House, an 18th-century Grade II listed building set right in the castle grounds. For a really fun day out, you can nip across to Drayton Manor Park, it's only a short trip away and it's always a fun place to spend some time. Or, to get back to nature, visit the beautiful Middleton Lakes set nearby for an atmospheric walk in the woods. 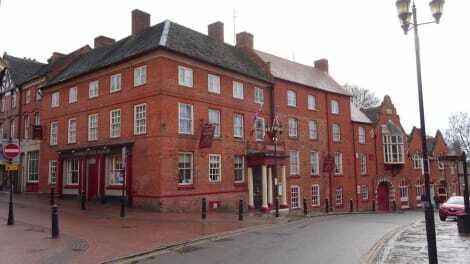 To make the most of your trip, make sure to dine out at some of Tamworth's lovely restaurants. They range from the cosmopolitan to the cosy, so you'll be able to find somewhere to suit you. Favourites with locals and tourists alike include DaQuino Ristorante for Italian food, Indian Cardamon, and Christopher's at the Peel Aldergate which is a great bistro and wine bar. When looking for your ideal Tamworth hotel, try to stay close to the heart of the town so you'll be within easy reach of everything. 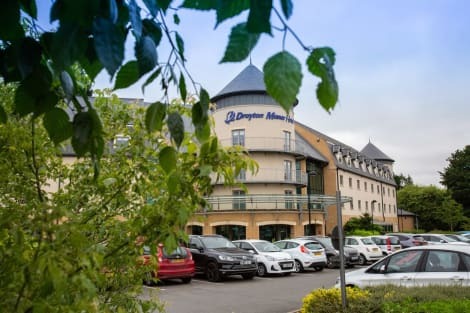 Popular places to start with are Drayton Court Hotel, Premier Inn Tamworth South and Gungate Hotel, but there's lots of choice to suit your taste and budget.